Sometimes you just know what you want. This bike is for snow riding. 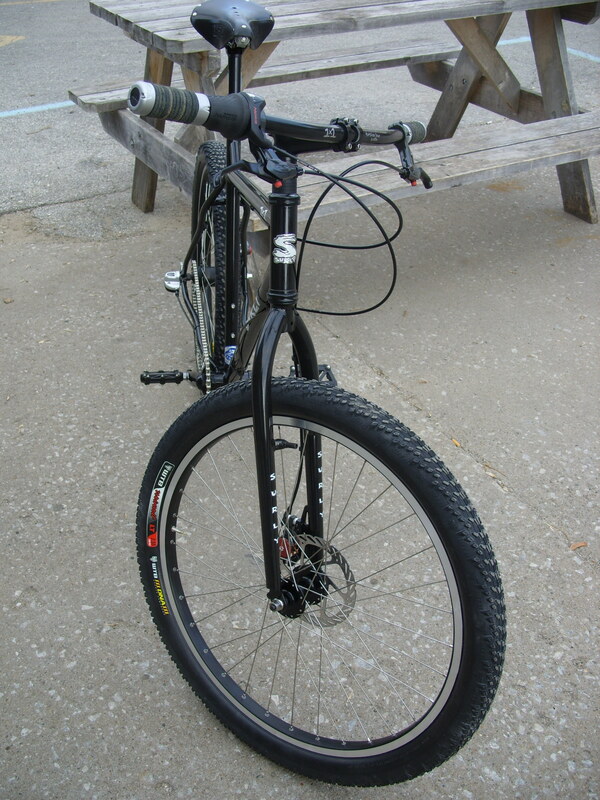 The owner is a Surly lover with a LHT, but he knew he did not want a Pugsley. We worked up this for him. 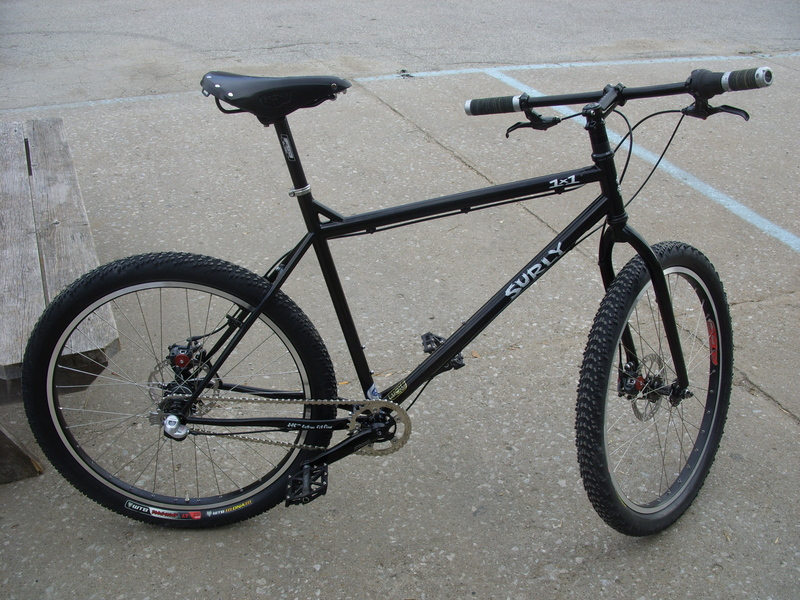 Surly 1×1 frameset, Mr Whirly crankset, Torsion Bar, along with the light yet massive Xpedo pedals, Brooks saddle and grips. We handbuilt the wheels for it. A Surly New disc hub up front and a Shimano Nexus 3 sp internal disc for the back, both laced 3 cross to 32 hole Salsa Gordo rims. 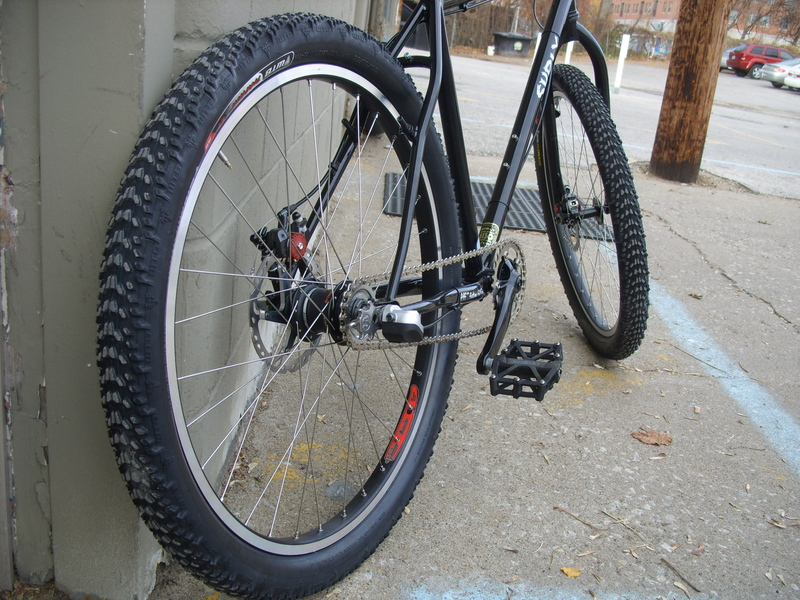 26×2.55 tires to handle snow. This is a beautiful bike, and the component choices make it totally functional for its intended use. It will weather crummy weather just fine, and a nice patina will only add to its luster. Poor US health care system is our excuse, please leave yours in the comment section! 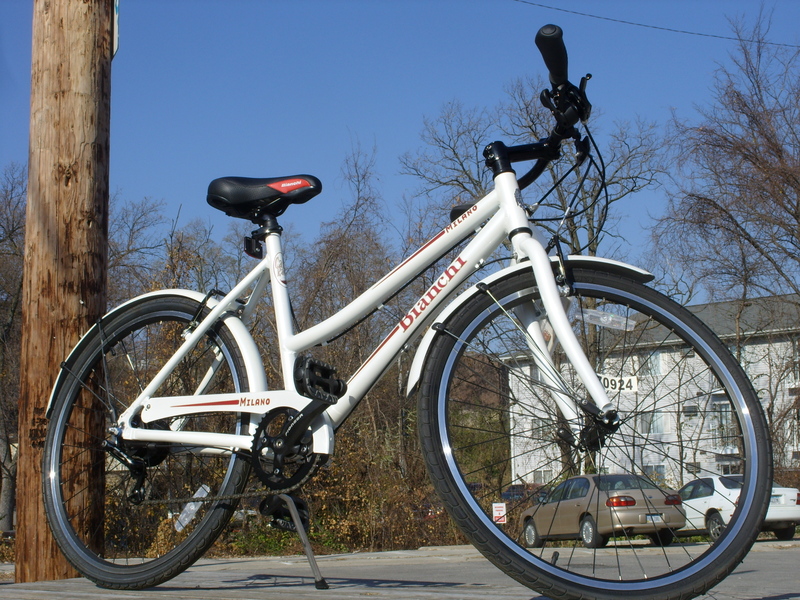 The Bianchi Milano is a stylish way to roll. The Alfine 8speed internal hub on this 18″ step thru means that this bike transcends fashion statements and is a reliable performer in all weather. Kinda like a jean jacket! Normally $800, we are marking this bike 25% off to $600! We also have an 18.5″ Milano Citta in stock that we are knocking 20% off to $480. We are slashing prices, we are smashing prices, we are internally and externally shifting prices! 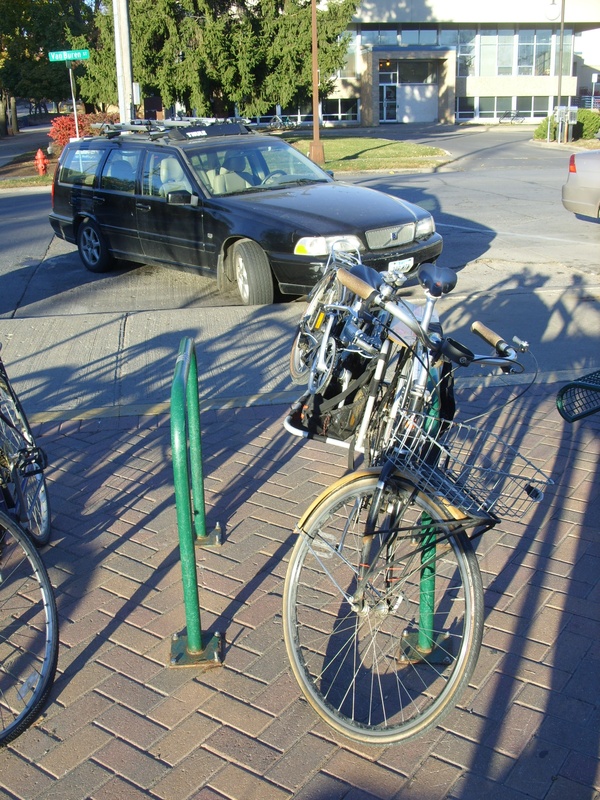 Ever see one a them racks that goes on a car to carry a spare bike? Cyclist Should Be Seen AND Heard Sale! All bike lights 10% off! With Daylight Savings time about to revert to Standard Time this Saturday night and plunge most of our bike commutes into duskness if not darkness, we offer our help to you by marking down all of our lights. We have great lights in stock from Planet Bike, PDW, and Cateye. And just to further thumb our noses at traditional hierachical concepts we are marking all bells down 10%! 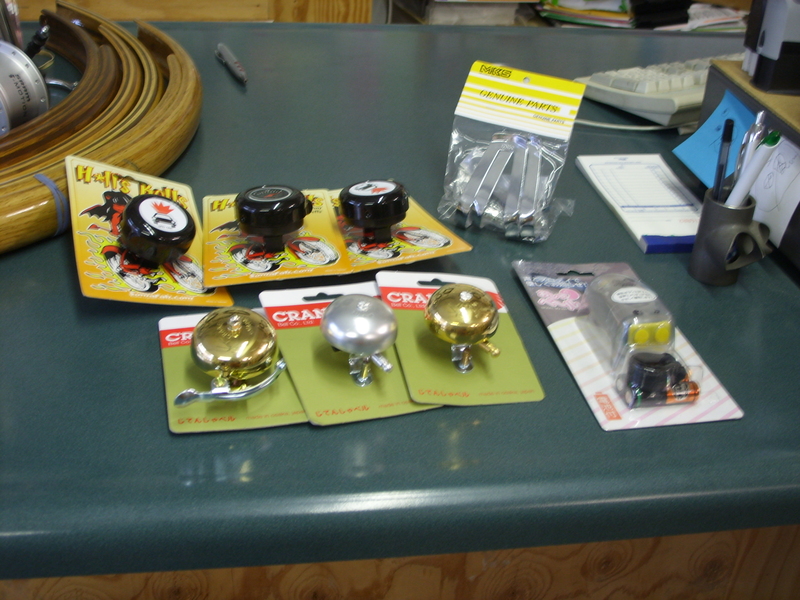 We have beautiful looking and sounding Crane bells made of brass, aluminum and copper in stock now. So as the days get shorter and the nights get colder keep on riding – bright, loud and proud!